The influx of consumer technology into the enterprise and the trend toward bring your own device (BYOD) have brought to light the conflict between the IT organization and the enterprise’s end users. Many of today’s core IT systems appear to focus on serving IT rather than end-user interests. As a result, end users are willing to spend their own money on personalization options — such as using a favorite mobile phone or tablet along with personal apps that make their work life easier and more productive. They desire the devices and programs that they believe will best-support their productivity, and they find ways of working around IT policy and standards. This leads to a complex situation for IT on how to manage these devices in the enterprise. This growing complexity of enterprise mobility is driving the need to address mobile applications and content beyond device-centric policies while integrating with security and development resources. 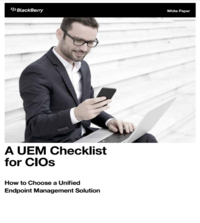 To do this, by 2017, enterprises will no longer simply invest in stand-alone mobile management tools; they will require tools to manage devices, applications and content are integrated into broader enterprise mobile management suites (EMM). In addition to expanding functionality of solutions, today’s mobile device management (MDM) market has seen intense price competition among vendors driving down revenue opportunity of selling basic device management alone. Pure-play vendors are expected to focus on volume of contracts, diversification of services or both for survival. The shifts in focus and vendor ownership are key drivers of current market volatility and can directly impact product functionality. In light of the evolving vendor landscape and products, Gartner recommends a maximum 24 month term for engagements with MDM solution providers due to the rapidly changing nature of products and the market landscape for solutions. Multiyear contracts place IT organizations in an inflexible position should EMM tools not deliver on key capabilities as providers shift investment and innovation focus or and even mobile management solutions market exits by some providers. The key strategies of focusing on flexibility in engagement with vendors via tactical engagements, the use of services-based offerings where applicable and modest policy sets and integration plans will maximize an organization’s ability to shift strategy as the EMM market evolves. These three best practices will also minimize risk in the form of downtime or service gaps in mobile management capabilities and wasted hours if a vendor switch must be undertaken. Chris Silva helps Gartner clients in the IT space assess and improve their strategy for mobile workers, including the choice and application of mobile device management (MDM) mobile application management) tools and other elements of enterprise mobile management (EMM) strategy.